Wildlife scene. 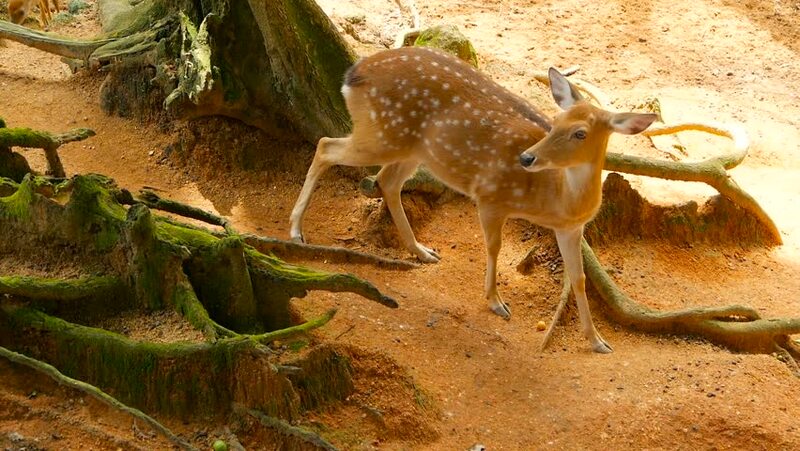 Beautiful young fallow whitetail deer, wild mammal animal in forest surrounding. Spotted, Chitals, Cheetal, Axis, Cervus nippon or Japanese deer grazing in natural habitat in the sun. hd00:05Starfish underwater in ocean of wildlife Philippines.Travel in world of unique colorful beautiful ecosystem nature coral, algae, fish. Inhabitants of deep sea in search of food. Diving.